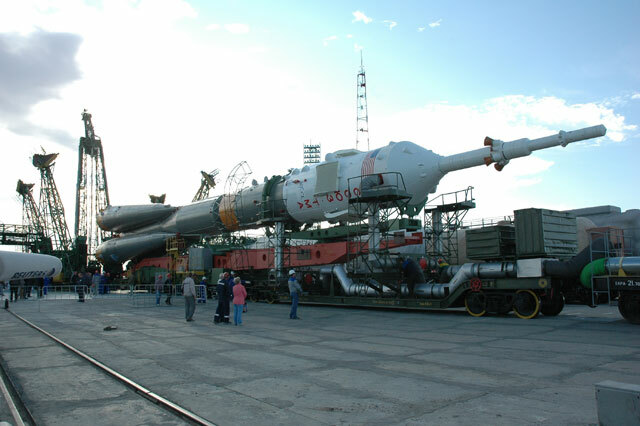 September 16, 2006. 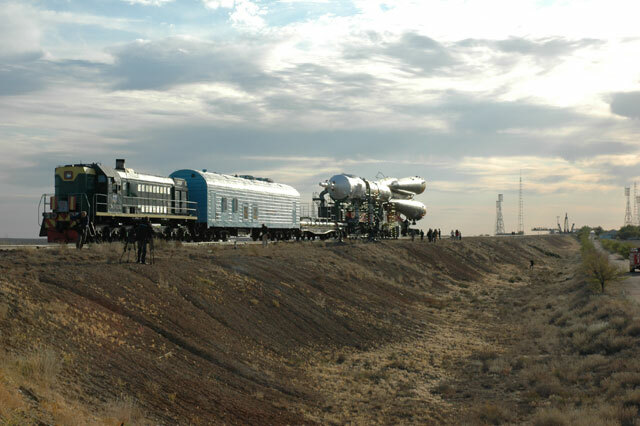 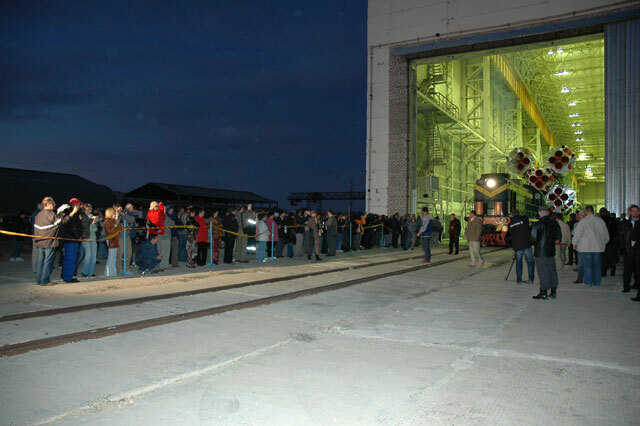 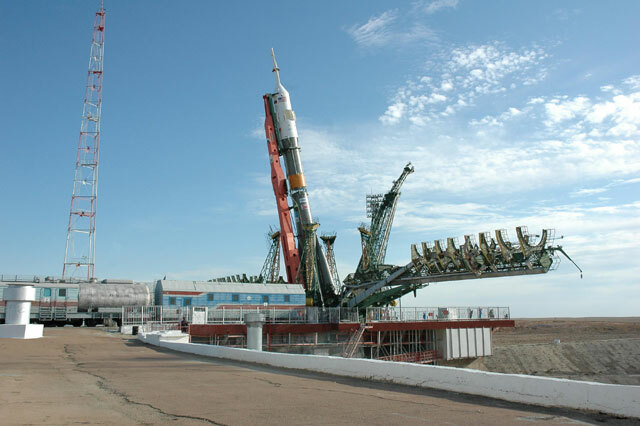 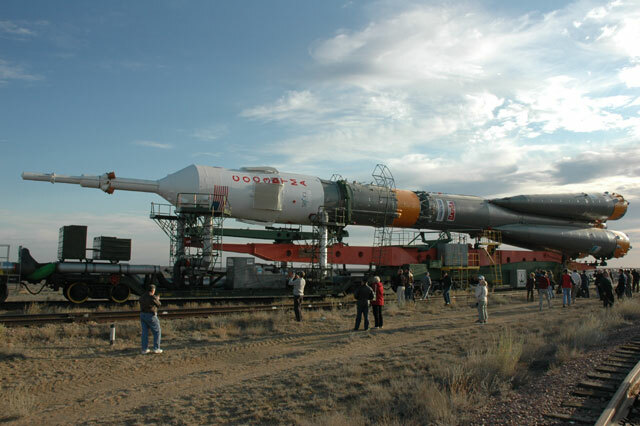 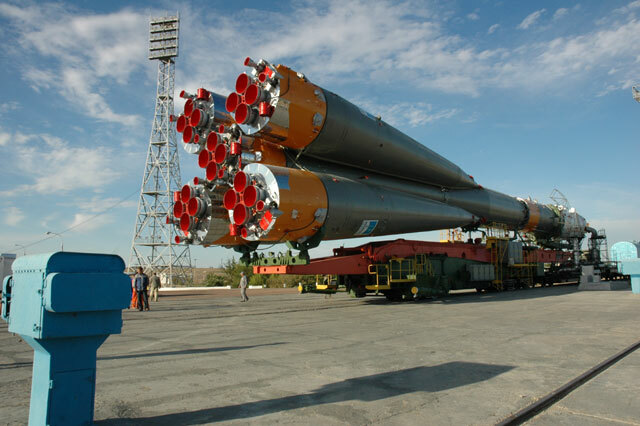 Baikonur Cosmodrome At 5 hours 00 minutes Moscow Time space-rocket system Soyuz was rolled out from the Integration and Checkout Facility to the launch pad. 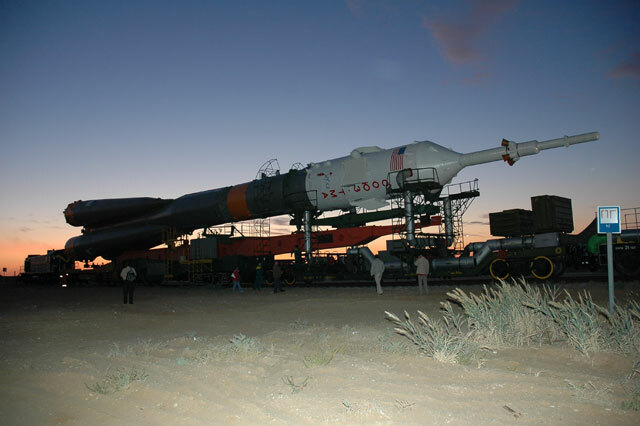 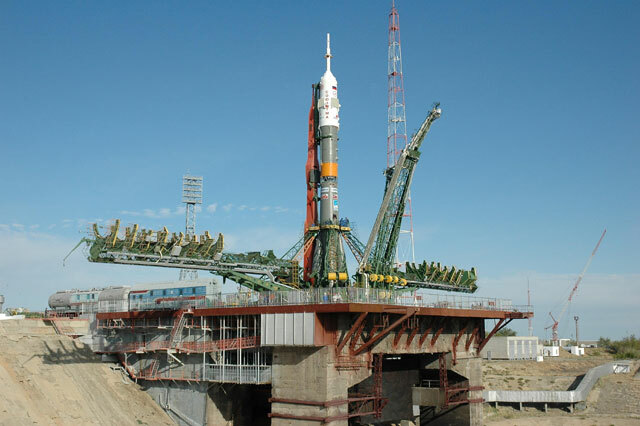 Launch vehicle Soyuz-FG carrying Soyuz TMA-9 transportation spacecraft is erected on the launch pad. 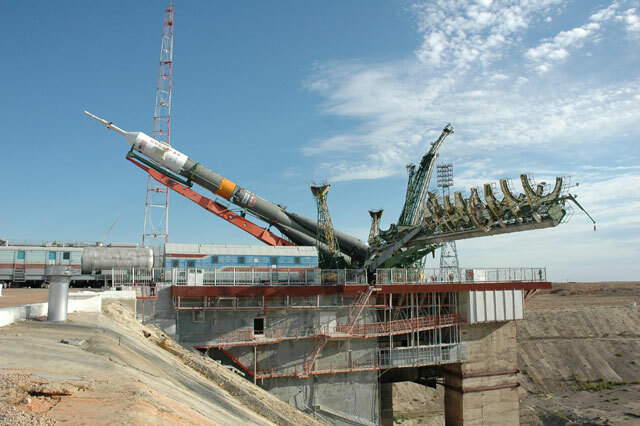 The work under the program of the first launch day has commenced.